It’s a sickness! 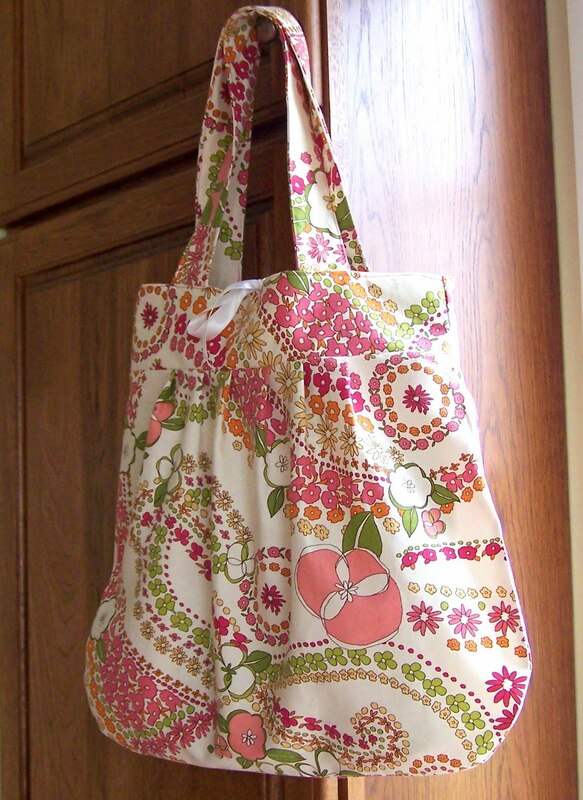 Bags are spreading all around the house! (What do you expect with three women in the house?) 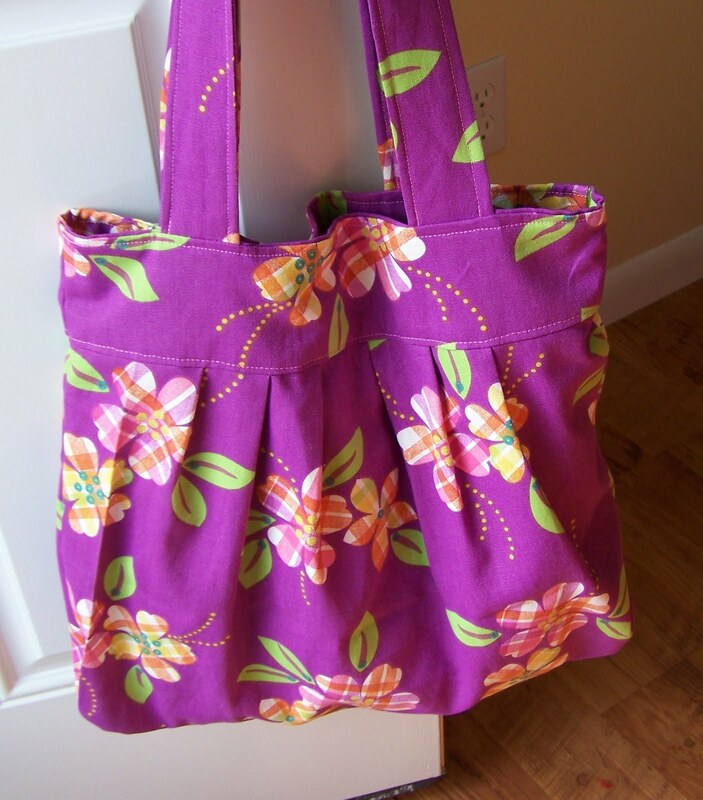 Annie whipped up this adorable tote in some stash fabric using Simplicity 2685. 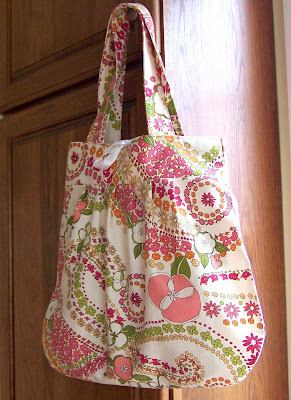 It’s a fairly simple tote pattern which she lined with a coordinating orange plaid. 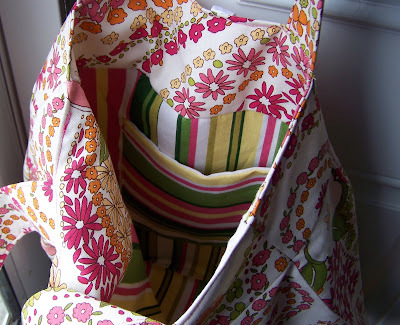 There are no closures, but it is a deep, roomy tote. Her 20-something, school teacher cousin loved it so much she commissioned Annie to make her one. Annie added a ribbon tie closure. I love mixing florals and stripes, don’t you? Annie’s sewing skills are progressing very nicely. She is excited about entering high school, where they still have sewing classes (they call it Fashion Design.) Pillows and PJs will be no problem for her! 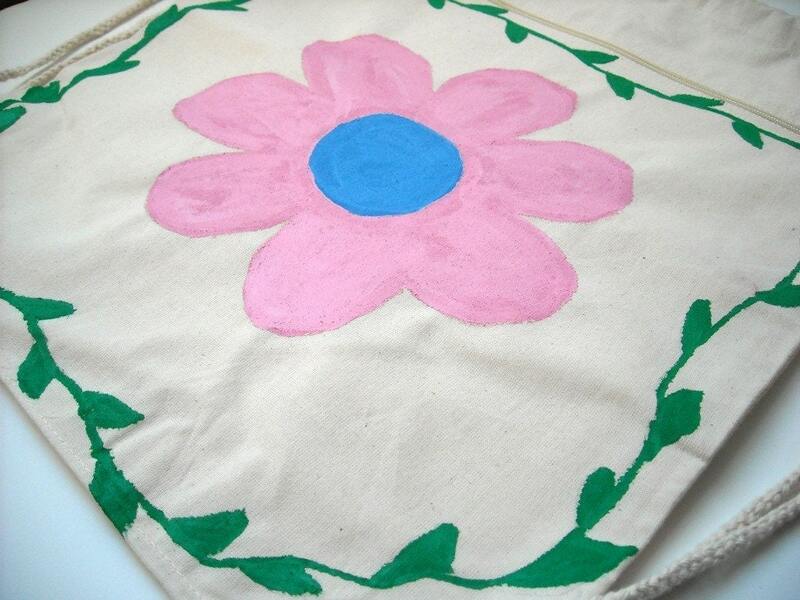 On another exciting note, Annie has opened an Etsy shop called Pink Paintbrush. I hope that we can find some craft shows to enjoy together. I’m just so glad that she enjoys a number of creative outlets. Wow! Annie is not even in high school? So talented! 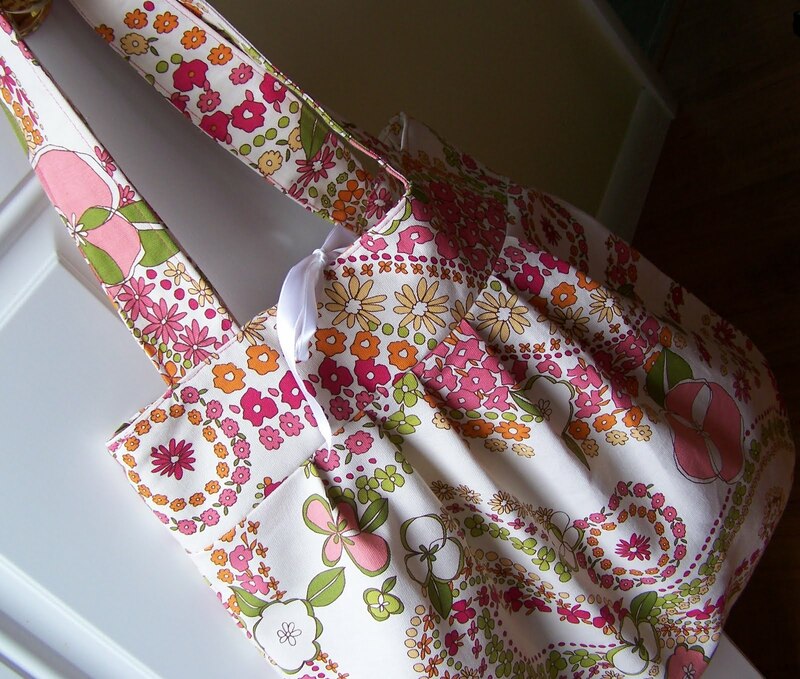 I am jealous of her sewing skills – those purses are A-DORABLE! of course i love all of these… really good job! 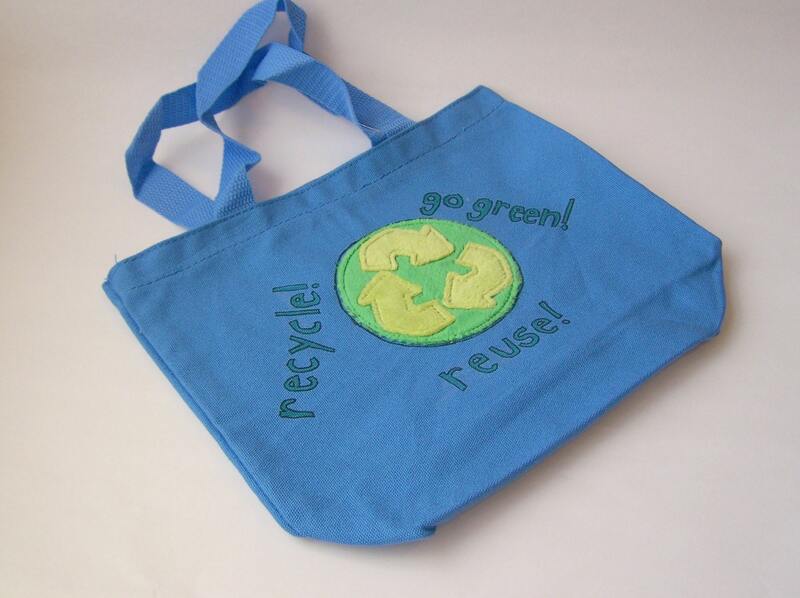 Your totes are wonderful! You are so creative like your mom! Congratulations on the opening of your etsy store, I will definitely visit often! Love the title and banner. Glad to see that you are pursuing your creative goals! 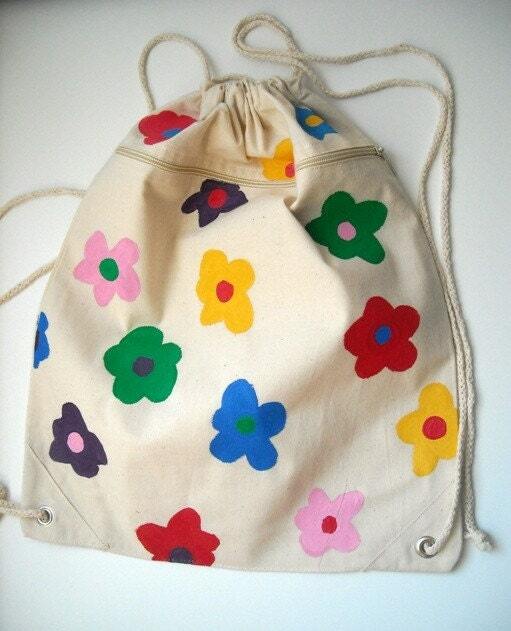 Annie’s totes are so pretty, and I love the drawstring bag with the painted flowers. She is talented! And brave to open her own Etsy store. You must be very proud of her. so adorable! I wish I had half that talent or courage to open my own store! Congratulations! Thanks for the nice comment! I love that floral bag ( and I’m not one to go for floral, usually. She’s a very talented girl! These are just darling! Love, love, love the fabrics. Perfect for spring.